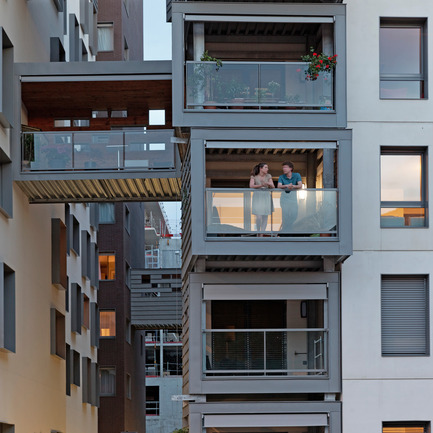 Conceived loggias offer a “benefit” in the urban environment in which the property is located. 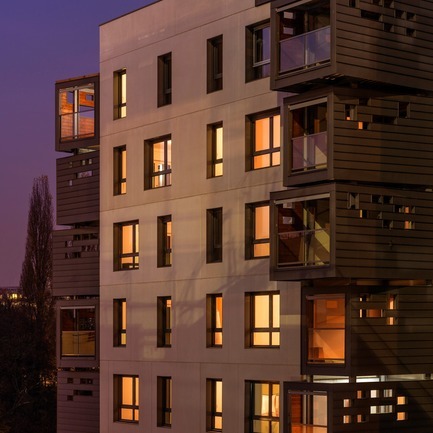 In the space of fifteen years, Issy-les-Moulineaux has become a leader in the field of HEQ in the inner suburbs of Western Paris. This distinction strengthens its status as a new economic platform home to the headquarters of major French and international companies. At the same time, new residential neighbourhoods have sprung up promoting diversity, today’s urban “religion”. 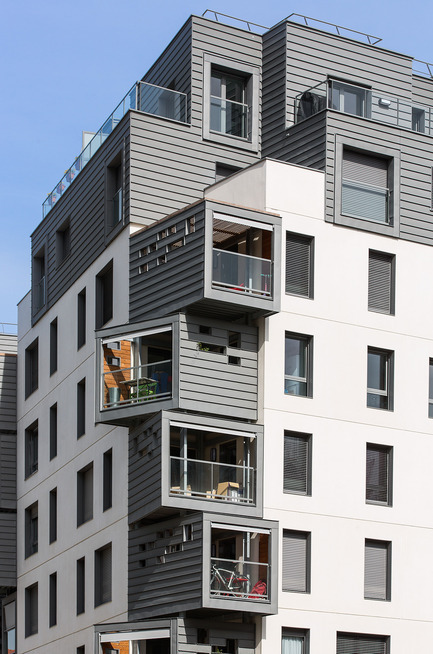 To maintain this position, for many years now this commune has been committed to a proactive policy marked in particular by the creation, in 2009, of an environmental quality charter for the buildings constructed in Issy-les-Moulineaux. Even more demanding than the charter required for low energy buildings (BBC), Isséo+ has been drawn up in a participatory manner. 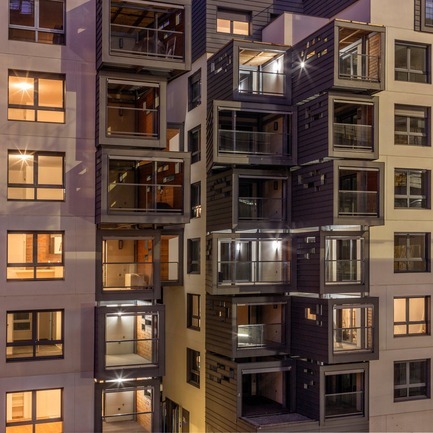 It offers construction sector players, planners and developers an innovative and pragmatic tool to maintain the environmental quality of collective residential housing, facilities and commercial properties. What is the Isséo+ charter? This development is located in the mixed development zone (ZAC)stretching from the banks of the Seine in Issy-les-Moulineaux opposite Île Saint Germain up to the Jacques Henri Lartigue tramway station on the T2 line. 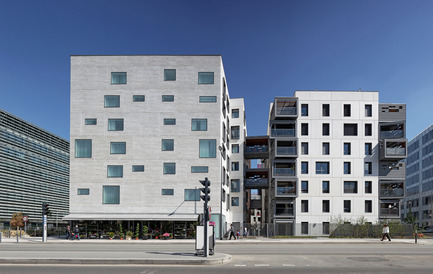 The operation is part of the Val de Seine masterplan which aims to reclaim wasteland in this former industrial area in order to harmoniously link it with the city centre. This site is served by RER C train line and several underground lines (8/9/10/12) which are accessible via buses and footpaths. However, the T2 and RER C lines create a significant urban barrier which isolates this site from the rest of the city. Hence, the development on this islet of landscaped, pedestrian, and cycle areas (ground floor retail premises) running perpendicular to the Seine will open up this part of the city, where non-motorised transport will be a credible alternative to car travel, including for local journeys. Isséo+ label, Carré en Seine demonstrates the use of unusual housing techniques to meet demanding HEQ and thermal regulation specifications (RT 2005/65kw/hr/m²/yr). 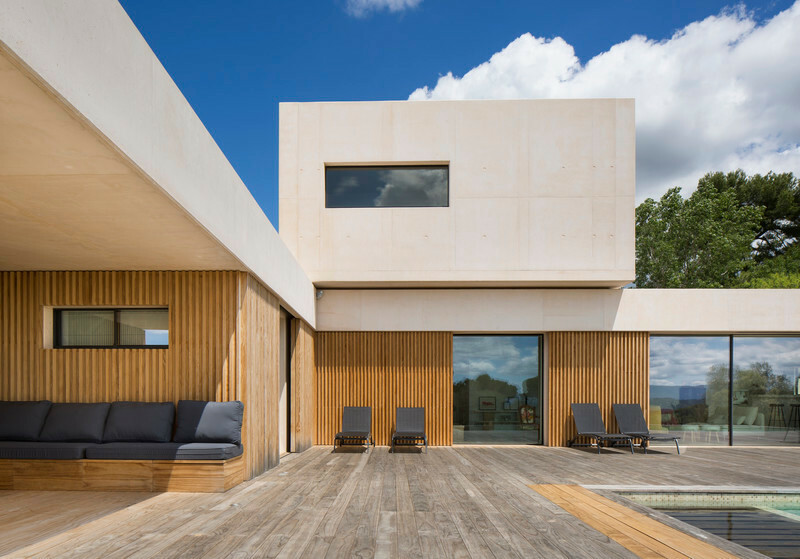 Small in size, the distinctive character of these homes lies in their high environmental quality and the innovative use of outdoor spaces, which are detached from the façade to form zinc “boxes” oriented towards the views and sunlight. 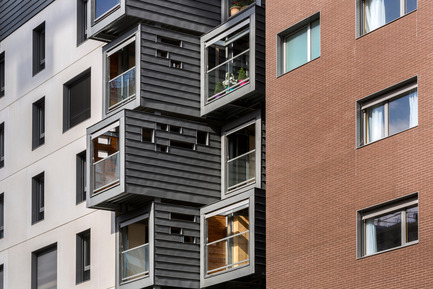 This urban construction is made up of three buildings comprised of many distinct architectural elements. First, there are two buildings comprising 69 dwellings (BBC, NF, and HEQ) erected over 4,673m² between Quai de la Bataille de Stalingrad and Rue du Passeur de Boulogne. Secondly, there is a hotel residence with 175 rooms built over 6027m², the technical facilities of which are located in a dark brown brick tower on the 10th floor, a real landmark on Rue du Passeur de Boulogne. 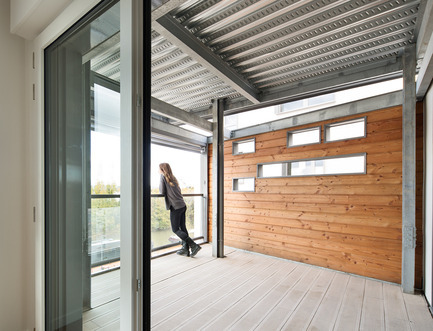 Surrounding a shared patio, the three buildings provide soft stories and views of the Seine. 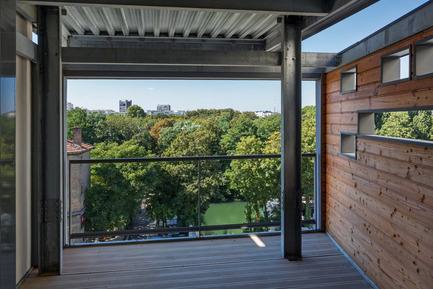 Density is controlled by breathing spaces, which consist of the landscaped garden (650m²) in the heart of the development and the large area separating the hotel residence from the housing, connected, on the Seine side, via metal walkways. 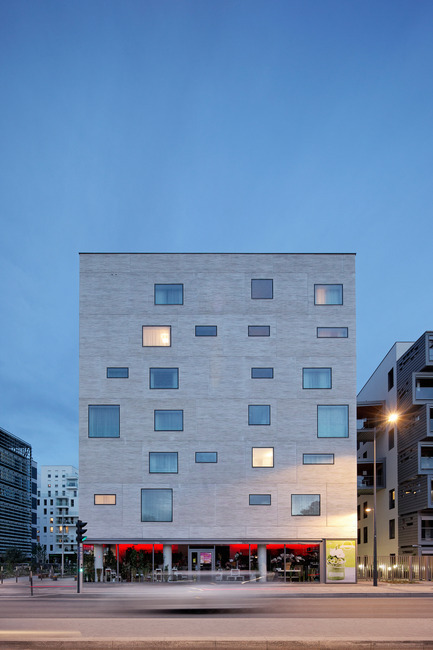 The concrete of the north façade of the tourist residence overlooking the Quai de la Bataille de Stalingrad has received a specific moulding treatment (“ bamboo” model) in order to signal entry into the new district, an important and defining element both during the day and night on the banks of the Seine. 90% of the housing is interconnected, dual aspect or duplex. It is the fruit of a competition launched in 2009 on the design/construction method brought together by a developer, in this case Eiffage, 3rd group of French BTP (Construction and Public Works) and three proposed contractors. 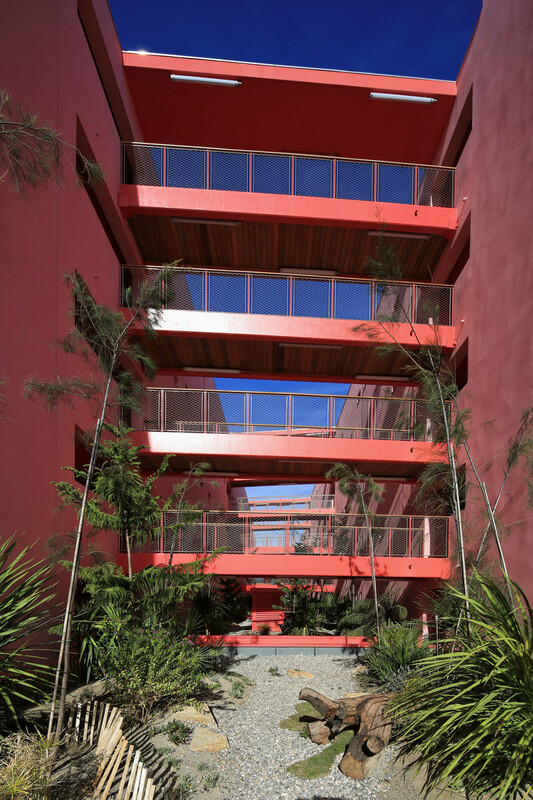 Out of the three competing architectural firms, Jean-Baptiste Pietri was chosen along with the landscape engineering firm Atelier Jours. During the competition stage, the Franck Boutté engineering firm was added to this team. The major challenge of this hyper-rational programme was to control density: those involved were asked, in effect, to develop 11,000m²on a plot of only 2500m² and to comply, moreover, with demanding HEQ specifications, particularly those drawn up by the engineering firm Tribu, Assistant Project Manager of the ZAC. This provides a finish and, at the same time, insulation. The technique was patented in 2008 by Jousselin, a company located in Maine and Loire in France. Built-in insulation is guaranteed by the thickness (35cm) of the ready-built module to be fitted and given electricity cables. 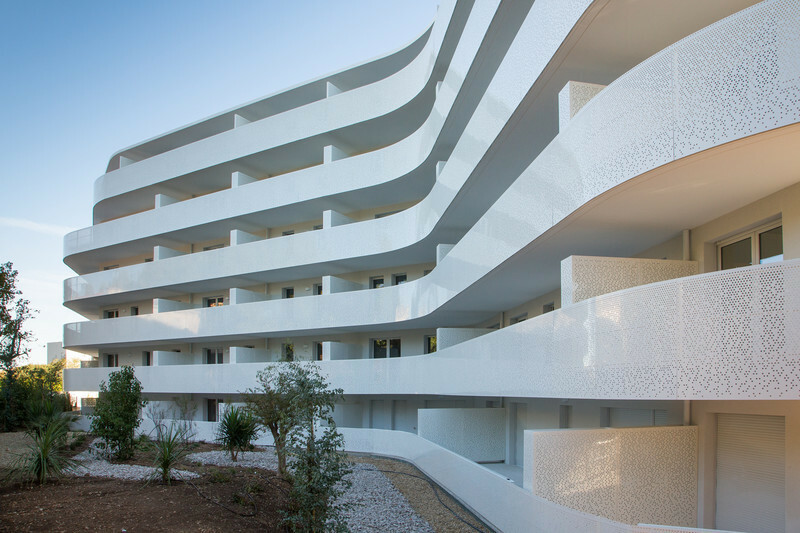 It is made up of several layers: 12cm of polyurethane, 7cm of white cement concrete external skin (no rendering), and 4cm of concrete for the inside wall. Only the middle, weight-bearing section, measuring 12cm in thickness, is filled with concrete poured on-site. Lastly, each module is fixed with composite resin to ensure the absence of any thermal breaks. 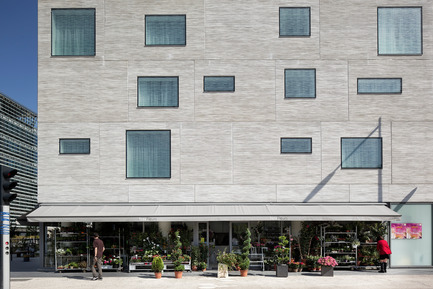 The sustainability of the structure is ensured through the use of concrete. This device is better adapted to the typology of the envelope calculated to meet the required density; this industrial cavity wall is suitable for cutting approved by the contractor. As Nicolas Bailleau, work supervisor at Eiffage , acknowledges, “this procedure requires highly accurate calculations to be made upstream, which contributes to constructive and methodical progress: 50% of the project, or maybe even more, is already completed during design." This experience reveals to Jean-Baptiste Pietri that a project can no longer be approached in the same way as in 1980 when everything was decided in situ. He believes that the future is a matter of comprehensive advance planning for reasons of building cost rationality without sacrificing the architectural dimension. In other words, this architectural dimension is not an adjustment variable that is “eroded” or called into question in order to stay better on track, but a “given” taken into account from the beginning. In addition, in view of the growing number of stakeholders in a project of this type, it is nowadays necessary to use computer assisted design, known as BIM (Building Information Modelling). “This approach seals more fruitful interaction with the company; we are not seeing traditional calls for tenders and the mindset of the different trades has changed”, stresses the architect, who notes in passing that shared compliance with the specifications is in keeping with greater architectural and urban ambition. The loggias act as conceptual grafts and are part of the second most distinctive characteristic of this programme. 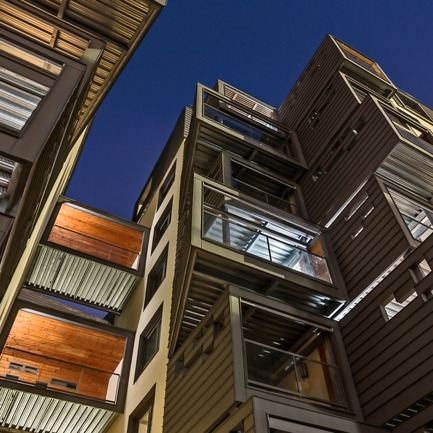 Eiffage and the architect Jean-Baptiste Pietri thought them up to meet their desire to offer a “benefit” in the urban environment in which the property is located. They also serve as a climatic buffer (solar gain protection in summer) and may be completely closed according to the wishes of the inhabitant, who can transform them into a “mid-season” room. 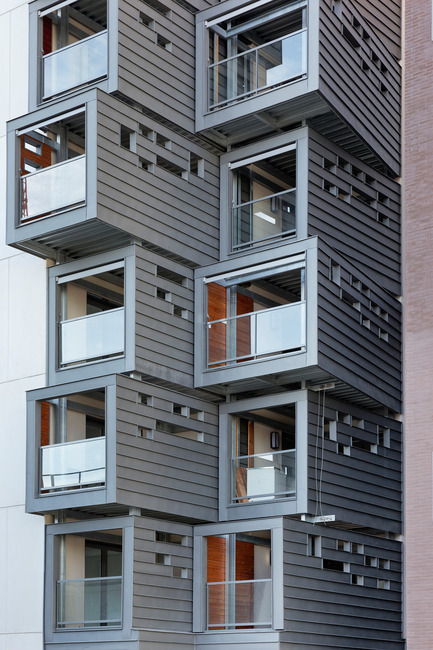 These loggias have been designed in an outer metal structure in the style of a large scaffold attached to the façade. This process prevents thermal breaks and provides better disabled access. For Jean-Baptiste Pietri, the ambiance of the loggias is similar to that of a balcony, without it being fully open. The purpose of the open work zinc walls is to hide domestic elements so as not to devalue the building façade from the street. Meanwhile, the atmosphere is sufficiently intimate for having breakfast there out of sight of the public.